Sleep. A good night’s rest can make you feel like a million bucks, ready to take on the day. A lack of it though, can make you feel, well, quite frankly, like hell. Sleep is something our body requires to heal, rebuild and rejuvenate itself. There&apos;s a reason we snuggle up inside down comforters night after night. In fact, we spend one-third of our life asleep! Without it we get sick and lose cognitive function, which creates a vicious cycle of stress. Outside forces can disrupt sleep cycles. Whether it’s the food you eat, the cup of coffee you drank this afternoon, the temperature your thermostat is set at, or the chemicals you breathe in every night from the furniture and bedding in the room, each plays an important role in how well you sleep. And some of those products could, quite literally, be silently and slowly killing you. 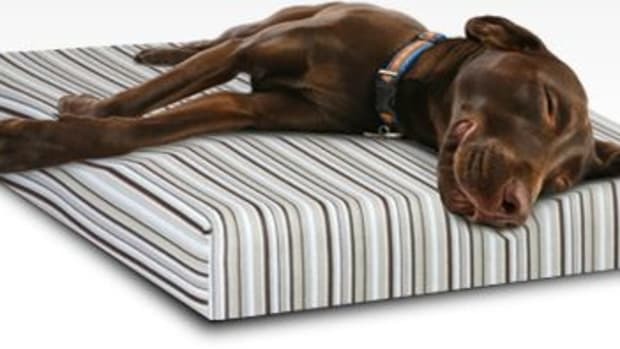 Pillows, mattresses, comforters, and even your furniture may seem harmless. But each has the potential to off-gas toxic chemicals, that when breathed in every night can accumulate in your body and lead to a number of health issues. Synthetic comforters made with polyester and synthetic fibers are made with chemicals and solvents. 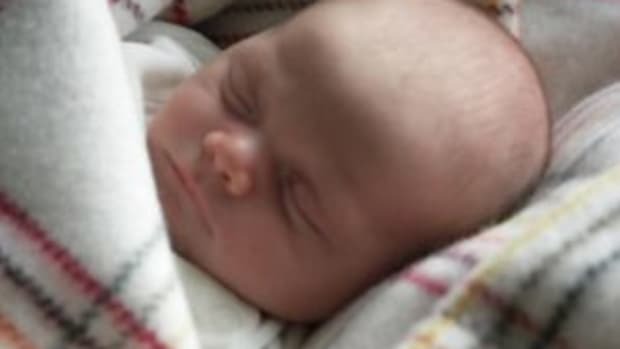 This toxic cocktail can come from the chemicals used to treat the down and feathers in a duvet or pillow, or chemicals like formaldehyde and fire retardants found in pillows, down comforters, duvets, mattress protectors and mattresses. No wonder the human body is carrying such a huge burden of chemicals! Formaldehyde has been classified by the International Agency of Research on Cancer as a known human carcinogen and by the U.S. Environmental Protection Agency as a probable human carcinogen. Yet many of the products we bring into our home are made with this flammable, colorless, chemical that off-gasses a strong odor. 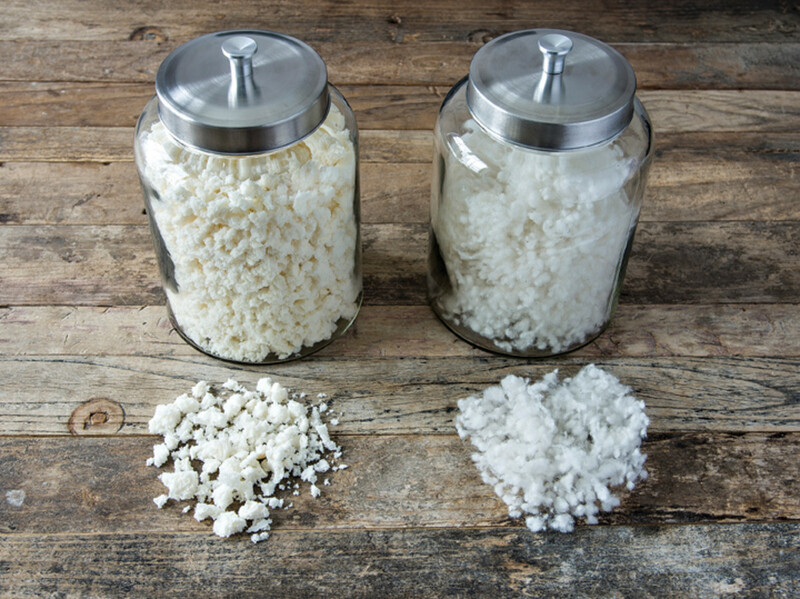 It&apos;s used in permanent press or ‘easy-care’ fabrics and polyester/cotton blends (yuck! ), glues, adhesives in pressed-wood products like particle board, fiberwood and plywood. And let’s not forget about the synthetic dyes. All of these chemicals add up! Despite the fact that vast majority of products on the market contain toxic chemicals, there are companies out there that care and listen to smart, conscious, consumers like you. These companies create innovative, clean products. Obasan is one of them. Obasan has created an innovative line of certified organic sleep products including customizable mattresses, comforters, pillows, bedding, mattresses, and even crib mattresses for your little ones. What Obasan has done with its products is really kind of impressive. Everything Obasan makes is not only natural, it’s certified organic. 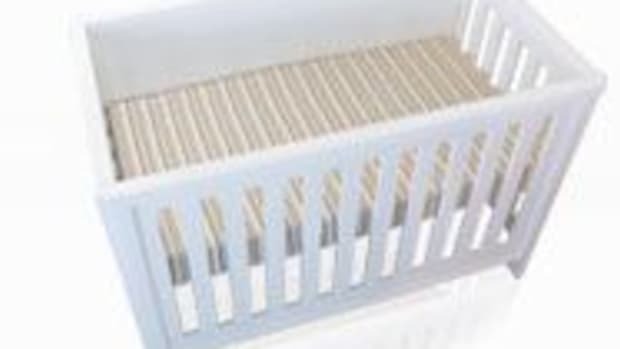 The company only use certified organic cotton, wool and pure rubber in its products. No chemicals, synthetics or dyes are used in the making of these products. Obasan uses high quality pima cotton fibers (the long, soft sturdy fibers), which create a silky, long-lasting product. The wool and organic cotton (sourced from organic farms in Peru) is GOTS (Global Organic Textile Standard) certified and does not contain any traces of chemicals. Obasan’s wool is sourced in southern Argentina from farms where sheep are free to roam, graze and eat a natural diet of plants. The founder of Obasan, Jean Corriveau, travels to Argentina every two years to visit suppliers to ensure that the land and processes used adhere to certification standards. I had the opportunity to experience one of Obasan’s comforters, the Banff 2.0. 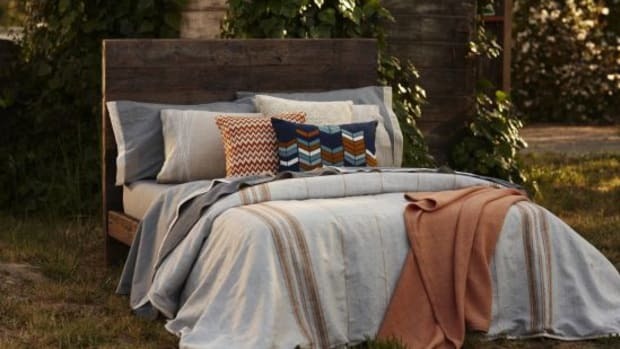 This comforter looks and feels like a duvet but shouldn’t be confused with one. They are distinct. Duvets are usually made with down and/or feathers that come from birds who are plucked while still alive, which is really a cruel and unusual punishment! Then, the down and feathers are treated with chemicals. Yuck. 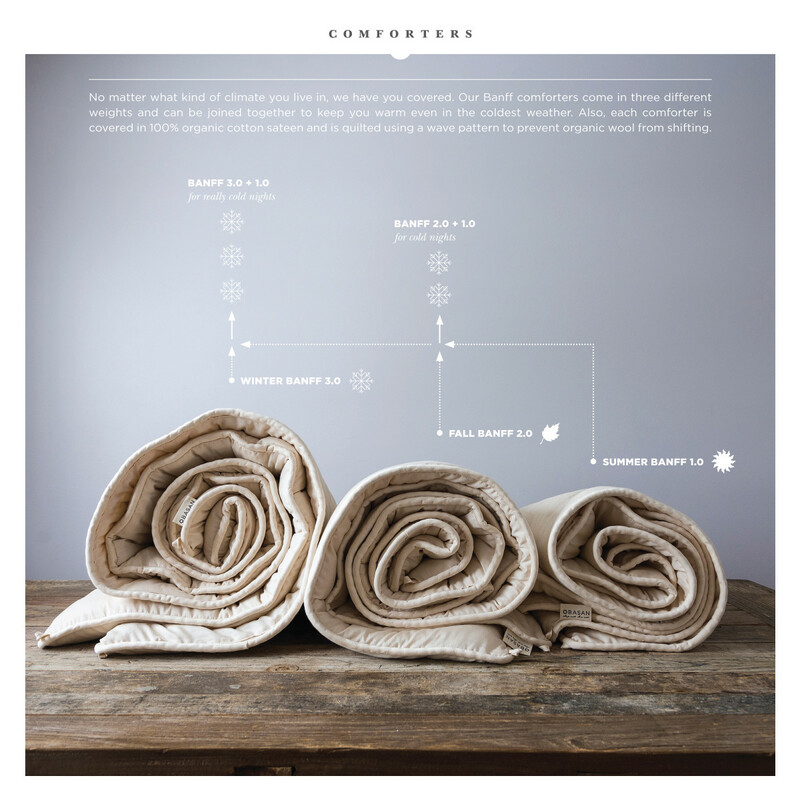 Obasan’s comforters encapsulates its layers of resilient organic wool with soft, organic, sateen cotton (which is really kind of luxurious, it’s soft and slightly silky to the touch). Because wool is a natural fire retardant there is no need to add any additional chemical fire retardant chemicals to the products. Wool is also naturally dust-mite resistant because it’s full of lanolin, which naturally repels those pesky critters. What’s also great about the natural wool and cotton fibers is that they help regulate your body temperature throughout the night. These fibers actually have pores just like our skin does, which means it can soak up our moisture and release it at a later time. Synthetic products do not have these pores and will push your moisture back onto you, which causes you to sweat while you sleep. Not to get to personal, but with my old comforter, I almost always woke up with some sort of perspiration. With the BANFF 2.0, it hasn’t happened. Obasan’s careful attention to detail and sourcing of healthy, sustainable, raw materials shows that the company really does care about the products, the people who make them, and the families who sleep on them. The staff travel the world sourcing the best and safest raw materials (even the wood for its mattress foundations is FSC certified to Canada’s standards, and the rubber is organic) creating sustainable relationships that support local communities, farms and working conditions. 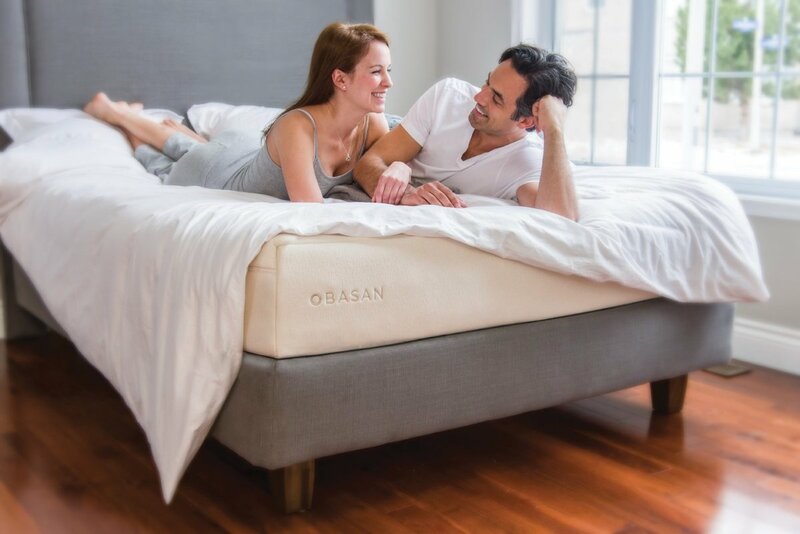 In fact, we are so excited about Obasan, we are giving away one of their plush organic comforters to one lucky Organic Authority newsletter subscriber. Are you already a subscriber? You’re already entered! If you’re not a subscriber sign up now to be entered to win. The winner gets to choose from Obasan’s selection of comforters: Banff 1.0 (their thinnest comforter, perfect for warm summer climates), Banff 2.0 (their mid-weight comforter for cool nights) and Banff 3.0 (their classic all-season comforter perfect for colder climates). Enter now. Giveaway rules: the winner must live in the United States or Canada to be eligible to win. 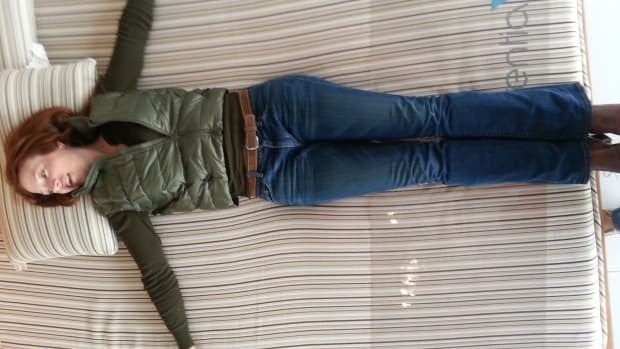 Winner can choose the appropriate size and weight of the Obasan comforter that fits their needs. One winner will be chosen at random. Winner must respond to email contact within 48 hours of contact from Organic Authority. Have you signed up to enter win? Sign up here.